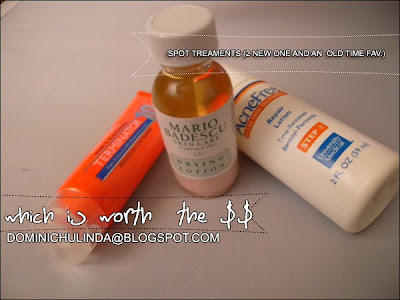 Dominichulinda | A Random Blog(ger): Skin: Spot Treatment! I needed something for those random monthly gifts I would get right on my face. So, a few years back I discovered the "Acne Free Repair Lotion" which to tell you the truth was heaven sent, but the thing that bugged me was they never sold it by itself. So, I tested a few spot treatments and fount a winner. Available without a prescription, this powerful acne fighting formula contains maximum strength 10% Benzoyl Peroxide and 1% Salicylic Acid. 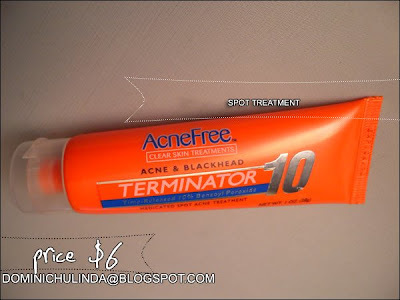 Terminator 10 penetrates deep into skin's surface instantly targeting acne causing bacteria within the pores. The result is pimples terminated overnight! Fast working medicine provides the most effective acne prevention available. Attacks bacteria to kill acne and blackheads before they start. Breakthrough Time-Released Benzoyl-Peroxide provides all day oil control and works 24/7 to keep pores acne-free! an excellent spot treatment made with a blend of calamine and salicylic acid to clear up unsightly whiteheads overnight. A dab of this lotion will heal and dry pimples quickly. Everything you need to keep oily and acne-prone skin clear, clean and healthy is in this kit. Our world-famous Drying Lotion (1 oz.) to clear up whiteheads; our blendable, invisible Drying Cream (0.5 oz. ); and Buffering Lotion (1 oz.) 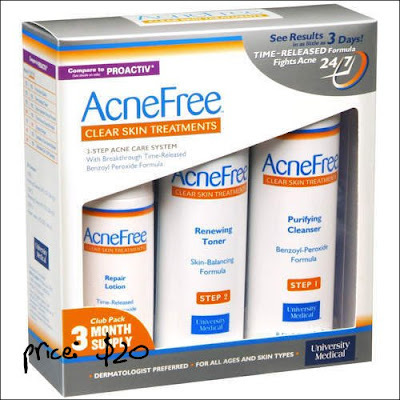 for cystic acne. Overall: I fount my replacement, but would always keep my "Repair Lotion" near just incase. Think of the two like "Batman and Robin"... Yeah, it's that serious lol.